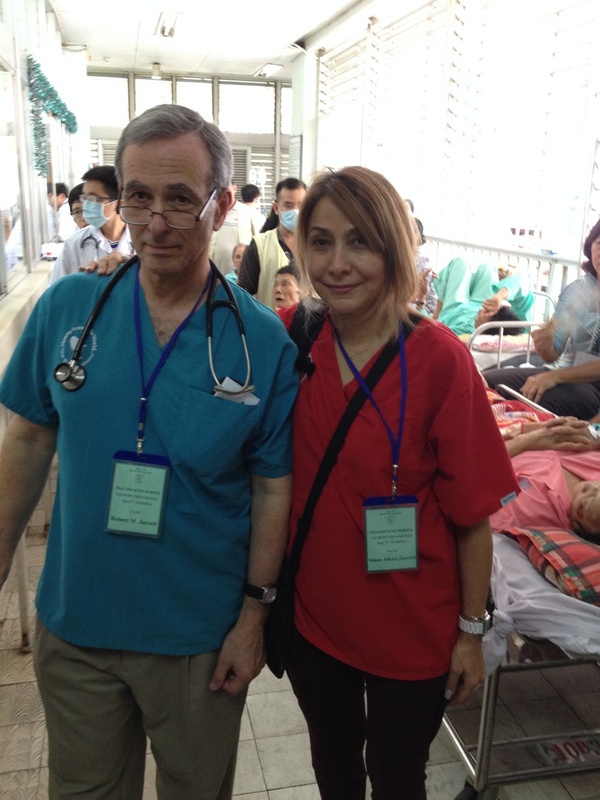 Since 2008, Hearts Around the World, Inc. has been sponsoring cardiovascular teams at Choray Hospital in Ho Chi Minh City, Vietnam. Choray Hospital serves as the major tertiary referral hospital for all of South Vietnam’s 40 million citizens. The hospital has 1400 beds with a daily census of 3000 patients (2 patients per bed). Choray Hospital was built in 1900 and was originally named Hospital Municipal de Cholon. After several name changes during the first half of the 20th century, the hospital was officially changed to Choray Hospital. 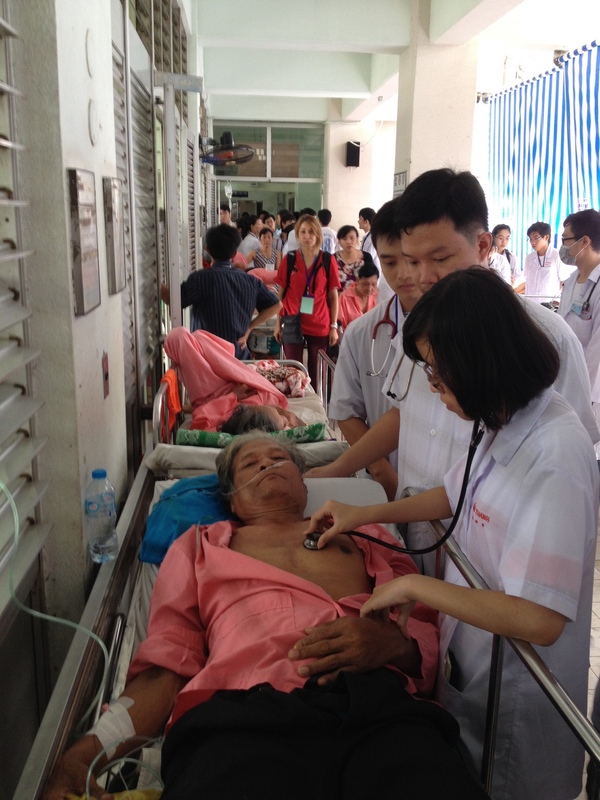 The hospital is currently funded by the Vietnamese government and is affiliated with Ho Chi Minh University Medical School. Choray Hospital trains over 2500 medical students and over 1000 post-graduate physicians each year. They have been performing open heart surgery on both children and adults for almost 15 years. Given the enormous number of children waiting for open heart surgery in Vietnam, neither Choray nor all of the other facilities in Vietnam capable of performing open heart surgery can keep up with this volume of required surgeries. The situation for adults who require open heart surgery is even direr. With the assistance of Hearts Around the World, Inc. The surgical volume has increased by more than five-fold and the quality of the surgeries has dramatically improved. Advances on the wards, in the cardiac catheterization laboratory, in the electrophysiology labs and the outpatient facilities have paralleled the positive changes seen in the operating rooms.